Today I am bringing you a list of some of my favorite things to do on Earth Day. If you don't own all of these books, you can get them at your local library, or you can try to find a read aloud version of them on YouTube. This is one of my favorite activities because students get a chance to see the affect an oil spill can have on water. I make sure to give my students a little background information about oil spills before we do this activity. To do this activity, I get a giant bin and fill it with water. I let my students stick their hands in and feel the water. Then, they go back to their seats to describe how it felt and how their hands felt. (Warm, cool, clean, etc...) Then, I simulate an oil spill by pouring vegetable oil into the tub of water. I stir it around and explain how the oil won't stay in one place once it reaches the ocean. I have them come and dip their hand in the water and describe how it feels. When they take their hands out of the water, they feel slimy and greasy. Then, we test different methods of cleaning our hands. First, I give them a paper towel and have them try to wipe their hands clean. Of course this does not work. So, then I have them run their hands under the faucet at our sink. Most students are surprised that just rinsing their hands does not get rid of the greasy feeling. After that, we use Dawn. At this point, students are able to get their hands very clean. We discuss oil spills, the impact on the ocean, the impact on animals in the ocean, and how people help clean animals using Dawn after an oil spill. I like to take my students around our school campus to clean up any litter. I have my students wear gloves and always make sure to have approval from administration. 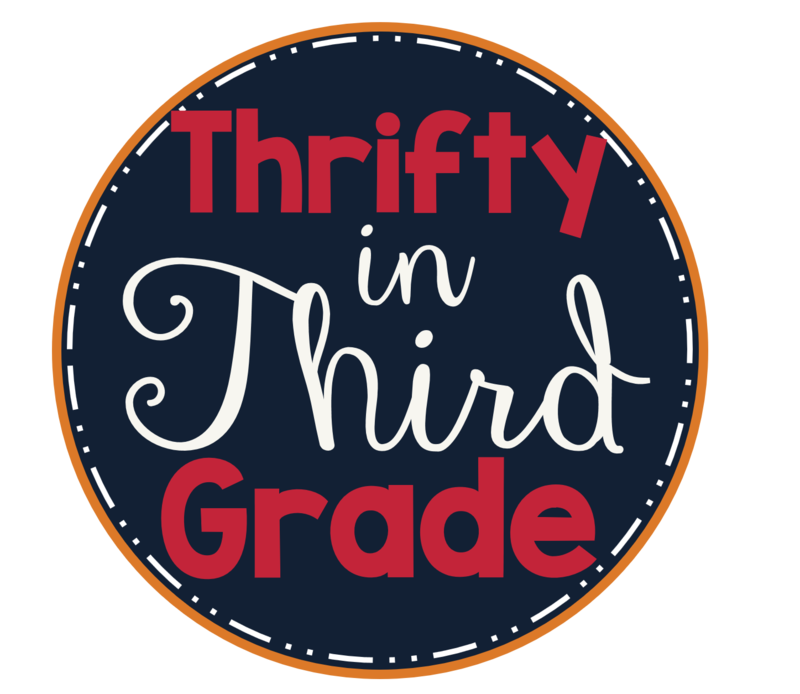 Before we go outside we discuss what is safe to pick up and throw away, and what is too dangerous to touch (such as broken glass, or other sharp objects). I give each of my students a bag to carry with them as they collect trash. When we come back inside we dispose of it in the correct place and discuss how littering can damage the environment. Then, we make a list of other ways we can reuse or plastic bags. 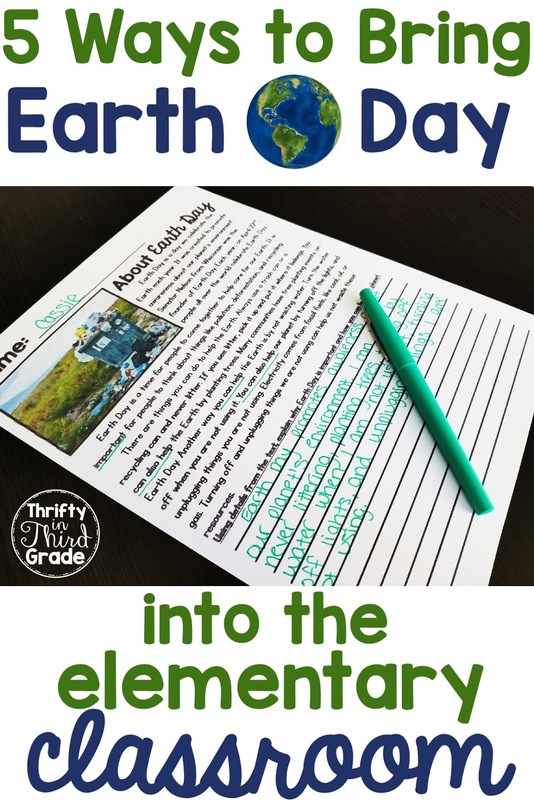 In my TpT store you can find my Earth Day Unit. 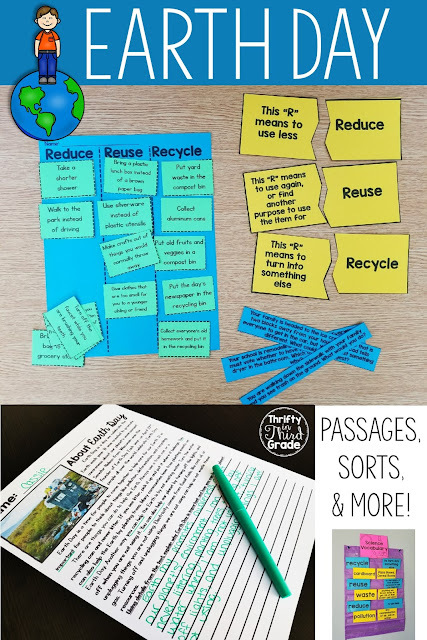 It includes vocabulary, passages with written response, 4 paragraphs for main idea and details sentence sorting, and other activities. It also includes the above mentioned Oil Spill Simulation Activity.